The AN-YA Project: An-Ya: Reader and Parent Guide...Just Released! An-Ya: Reader and Parent Guide...Just Released! If you have read An-Ya and Her Diary...the just released Reader & Parent Guide is a must have! 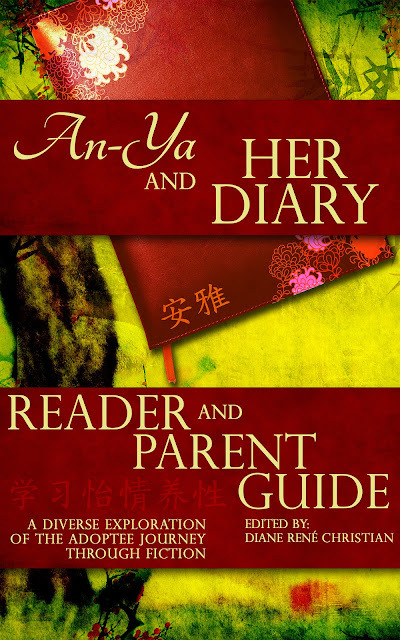 An-Ya and Her Diary: Reader & Parent Guide is a ground breaking collaborative work and the first of its kind to be published under the An-Ya Project. Inside you will find the wisdom and artistry of professional adoptees who discuss all aspects of the novel An-Ya and Her Diary. Included are lessons on how to lead an adoption discussion, how a parent can use the novel to emotionally guide their child through the book, as well as writers who eloquently express their own complex journeys as adoptees. Readers will also find: the 'Reflections' of young adoptees and their siblings and an in-depth interview with the author of An-Ya and Her Diary conducted by co-founders of the CAL One World Chinese Adoptee Program. Stephanie Kripa Cooper-Lewter, Ph.D., L.M.S.W.